Stony Brook University Libraries is hosting a Bibliometric Workshop for Librarians and seeking 12 participants who are interested in bibliometric analysis and employed by the academic libraries in the region to join us for a one-day workshop on Friday, October 6, 2017. The event will take place at the Scholarly Communication Center, Room C2601, 2nd floor of the North Reading Room. 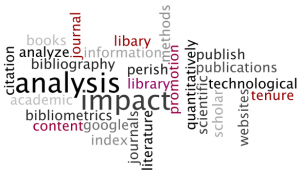 Bibliometric is a quantitative analysis which is the most commonly method used for measuring research outputs and publication patterns. It provides insights of leading scholarly journal publications and their citation data in a particular field, identifies top researchers, and helps with collection budget decisions. The Bibliometric Workshop for Librarians Planning Committee aims to promote practitioner research in Library and Information Science and encourages participants to come up with their research ideas which will be used for group studies. If you are interested, please register here. Please contact Clara Tran, yuet.tran@stonybrook.edu if you have any questions.